I’d been meaning to talk about this for a while, but back when Tough Break came out, there was an unintended side effect caused by the Flamethrower tweaks, and it doesn’t even refer to the Pyro. Tough Break’s patch notes mentioned that “The base Flamethrower’s damage fall off over distance has been decreased, resulting in higher damage output at range” and I could write a whole article about how all of these stock flamethrower buffs have elevated the weapon back to a surprising level of viability. 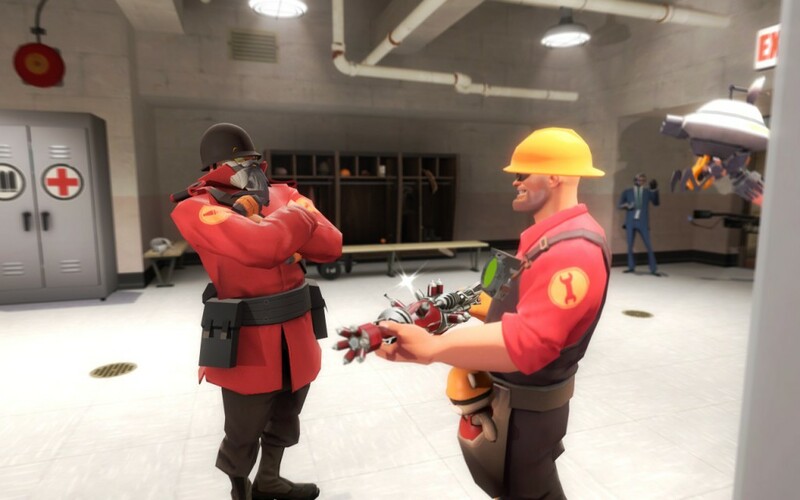 But this affected more than just the flamethrowers; the Righteous Bison and Pomson 6000 mimic ‘lasers’ by firing a bundle of flame particles, meaning that they both deal more damage at range now. I know this change is pretty minor in the grand scheme of things, considering that unlike flamethrowers, which can rack up dozens of hits in seconds, the laser guns can only tag a few extra hits per shot before losing contact with its target. But any buff that improves the primary function of a weapon is one worth knowing, especially when they’re the only weapons in their classes’ respective slots that open up the possibility of dealing relevant damage at a new range. I’ve tried out both weapons since the change, and both of them genuinely seem better suited to direct combat than they were before. The Bison did its job, though it felt redundant with any of my favorite rocket launchers, but as a finisher it held its own against the shotgun enough to keep me from feeling an urgent nagging need to switch out. The Pomson on the other hand is now amazing for Ninjaneers; I played my favorite Eureka Effect playstyle for a time and was genuinely finding it better suited to the solo combats I’d occasionally find myself in, not to mention the ability to dissuade pursuit and block corners was a godsend. If you’re okay living with the shame of having been seen with the Pomson, you can make it work for you.